At last the 1975 SANFL season is getting its due recognition. A twitter account is following the season on a 43-year-delay and reigniting that joyful winter that has laid dormant in so many memories. 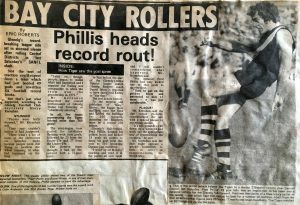 For Glenelg fans the weekly updates are a bitter-sweet reminder of when the Bay was ruled by Neil “King” Kerley and the belief that this was the greatest side ever to lace up black and gold jumpers. Kerls had arrived a decade earlier and rebuilt the club by backing talented kids. He made 22-year-old Peter Marker captain. Soon we were talking about a streak from Whyalla called Graham Cornes, a pair of larrikins from the Riverland Rex Voigt and Kerry Hamilton and a long-haired Seacombe High Schoolboy Peter Carey. The book ends were the Phillis brothers. Wayne was “Butch” at centre half back and Dennis was “Fred” at full forward. They were built like bears and had a certain instinct for the contest. Butch put some bloke from North Melbourne into the pickets at the Bay during a practice match making him an immediate target for Victorian recruiters. Fred had a more democratic process – his one chance rule. If a full back had a crack he would tell him he assumed it was a mistake and presumed it wouldn’t happen again. Defenders – not being rocket scientists – didn’t always understand and Fred would let them have it after a second indiscretion. Against Westies one day he grabbed his opponent by the waist lifted him up, spun him in the air and dropped him onto his back in a move normally associated with Killer Karl Kowalski. Kerls drilled them for all-out attack. Protect a lead by going for the jugular. After winning the 1973 Premiership Voigt lost a yard and went to a back pocket allowing Kym Hodgeman a regular place on the ball. Hodgie worked in a sports store with a kid called Paul Weston. He had corrugated hair and no pace but could read the play so well he was a ball magnet. When Glenelg ran onto the field they were like extras from a spaghetti western with long tangled hair, droopy moustaches and shag pile sideburns. The all-out attack meant regular lopsided wins including the opening round of 1975 when they thrashed Norwood by 76-points. On Anzac Day the Tigers beat defending Premiers Sturt by 22 points – the next time it was 42. The Masterpiece was round 17 at Glenelg Oval when the 49.23.317 they put on the board against Central District remains an Australian record. Bulldog defender Julian Swinstead described it as like ‘standing in front of a wall facing a machine gun firing footballs’. Still the largest score ever. 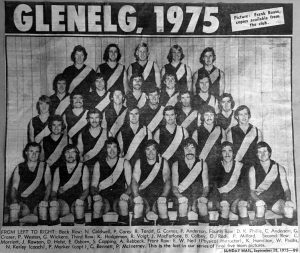 In 1975 Glenelg averaged 160 points per match and home games weren’t fixtures they were happenings. You would catch a tram to Tigerland and walk to the ground along streets lined with Norfolk Island pines swaying in the salty breeze. The fish and chip shop and butcher had black and gold tiles and the colours flew from car yards. Inside kids tore up phone books in preparation of a confetti storm when goals were kicked. Old men would hold a licked finger in the air and declared how much the breeze was worth. Goals and points were marked in The Budget with dots and dashes like Morse code. The space next to Fred Phillis often looked like the cell wall of a prisoner doing life. 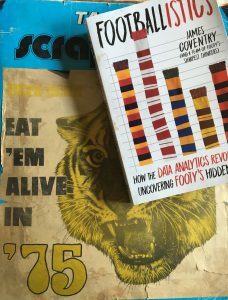 But now Glenelg supporters have more than just a vibe about the side thanks to James Coventry and the band of footy nerds he has corralled into writing Footballistics: How the data analytics revolution is uncovering footy’s hidden truths. 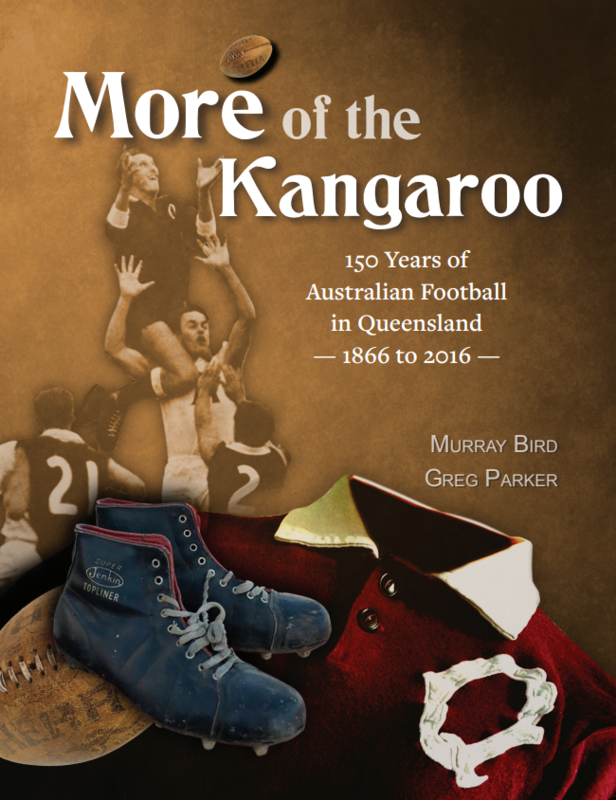 The book does what so many commentators don’t – explains what is actually going on in footy. Coventry’s previous work Time and Space is the definitive history of the way the game evolved and Footballistics is its natural successor. This brilliant work takes the game’s spreadsheets and turns them into English, along the way confirming things you thought you knew but really didn’t. It is football’s freakonomics. Chapter thirteen deals with team ratings and applies science to the romance of greatest ever sides. Was Collingwood’s Machine better than Clarkson’s Hawks? Taking analytic theories from Hungarian-American physics professor Arpad Elo (originally developed for rating chess players) and combining with the work of data analyst Tony Corke (who blogs as Matter of Stats) a rating system is applied to teams throughout history based on the scores against the quality of defence. Coventry breaks them down into eras and so emerge the greatest sides of the time. It might surprise some that in the era 1980-1999 the best side was Hawthorn in 1991. Richmond’s 1967 side tops the 1960-79 period. In the WAFL, Claremont (1991 & 2012) dominates the eras from 1980 to 2017. The numbers show only a rounding error separates The Machine from Clarkson’s Hawks (it would spoil things to say which is the greatest side ever). 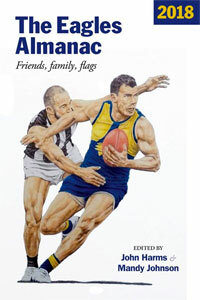 However, there on page 315 is confirmation that Glenelg in 1975 was the highest-rated team in SANFL history. Thanks James for confirming what we thought we already knew and for adding more meaning to the weekly twitter recall of 1975 that is approaching its awful, crashing conclusion. In the finals, Fred booted six when Glenelg beat Sturt in the Qualifying Final (26 points) and repeated the dose in the Second Semi Final against Norwood (29 points) and so cruised into the big one. As Port and Norwood bashed each other up in the Preliminary Final the Tigers lounged in Kerley’s court. Peter Marker, photographed wearing a skivvy under a sports coat, wrote an erudite newspaper column with Mike Coward. Cornes pulled a shift as guest DJ on 5KA with John Vincent. The Grand Final was horrible. Pleurisy Park was at its worst with a wind screaming around the ground. Neither side could find any rhythm. Fred’s golden boots turned to lead. With the wind prohibiting precision football he led further and further from goal trying to find the ball and then launched huge shots that were carried in all directions. 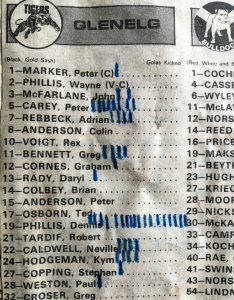 At three quarter time with Norwood leading by two points Kerls by his own admission ‘pulled the wrong rein” and moved Wayne Phillis off Ross Dillon who helped squeeze out three goals that gave Norwood a 12-point win. There is no debate about the meaning of that number and so it’s one James Coventry enjoys – being a Norwood man. Great memories Mike. I was a freshly minted 20yo just down from Kadina, working in the public service. Life was footy, cricket, golf, Globe Derby trots and lots and lots and lots of beer. I don’t think Random Breath Tests (“the breathalyser”) had been introduced yet. Sadly your piece led me to research how my West Torrens Eagles fared on my regular trips to “Thebby”. Wooden spoon with only 2 wins and an 0-13 start to the year. No wonder I was drinking. Former North Melbourne great and hard man Noel Teasdale was coach. I remember he was ‘mine host’ of a pub on the railway line where the north parklands cascaded down into the start of Port Road, not far from the famous West End brewery Christmas lights and “Premiership Chimney”. (The pub’s name escapes me). My Eagles kicked 17.12 (114) against the Bays at Brighton Road in Round 9. 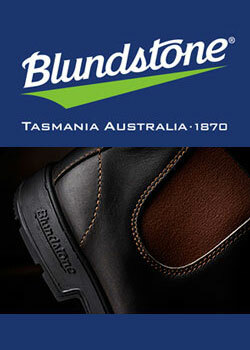 Handy score (we lost by 73 points to Glenelg’s 28.19 – ouch). 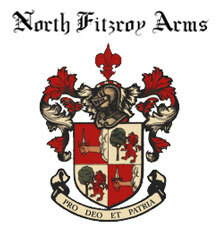 In the final round 18 we improved to 18.8 (116) against them at Thebby but they kicked 29.30 (204). Clearly Ross Lyon, Mick Malthouse and Terry Wallace were yet to perfect the 18 man rolling maul we laughingly call footy these days. It was man on man in the 70’s. Still there were some ‘bright’ spots for me like Torren’s psychedelic fluoro lace up guernseys (what no Eagle on the chest? ); numerous beards and mullets; and Johnny “Mad Dog” Cassin to entertain us. This famous 5 minute snippet from our Round 15 win against Loveday and Hughes (Motley and Weston were still a decade away) is a ripper. Cassin knees someone in the nuts; gets reported for abusing the ump and then goes down in a crumpled heap (knee? hammy? hamming it for the Tribunal?) and 300 game legendary barrel chest Freddy Bills (RIP) barrels onto the ground early. (I was there – the attempted player count is Marx Brothers meets the Keystone Cops. How could they take a game away from us one of the few times we were leading?). 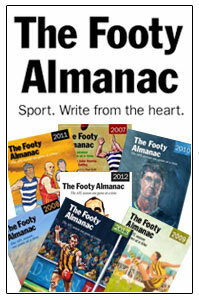 Coach Noel Teasdale is clearly the skivvy inspiration for the Almanac’s own Fearless Leader. Cringe and enjoy. “King” Kerley or “Knuckles” Kerley? I guess it depends if you and a supporter of the Bays. I’ve been following that account since it opened Mike, but now you’ve gone and ruined the ending for me. Thanks for nothing. Actually, I’m ashamed that I remember so many of the little nuggets that it has thrown up (John Bagshaw, Ken Whelan’s bag against the Dogs at Unley, the Datsun Cup, Russell Cropley) when I can’t even remember my new phone number. I think it was 1975 when schoolmate Robert Turnbull was manning the car park at Elizabeth Oval, turning back Bays president John H Ellers, who despite pulling the “Do you know who I am?” was turned around with a polite “No, now piss off, it’s full” by working class warrior Turnbull (clearly no relation). On balance, I think Glenelg just came out on top against us that year. Footballistics looks like it’s going to be a cracker too. Beat me to it PB, one of the all time classics, that clip. I think you were referring to Teaser’s Newmarket, where he at least had the decency to use an ashtray. It’s a most enjoyable account and very much looking forward to James’s book launch at the Parade. After all, who doesn’t love a story with a happy ending? Enjoyed this very much Mike, especially the most South Australian sentence of all time: Cornes pulled a shift as guest DJ on 5KA with John Vincent. Surely we can find this on YouTube! Still astonishing that a side averaging 160 points a game and slotting 49 goals (should’ve been 50) somehow loses the grand final. How good is the Bay City Rollers headline? The subby must’ve sat on that for weeks. What a great article. And footage. I was at the game, sitting in the stand the day we lost to the Bays by the record score. Still barracking (as a 12 yo). Cheered when Snout hit the post – and had coins and even a banana (it’s black and gold!) thrown at me by the Bay members. Years later, when working at the Bay disco (some of you were probably there), I always had to cop a look at the preserved Budget from THE day in the display case. Bastards. I really enjoyed the footage of the Torrens/West game – some great names there. And Ian ‘Wildman’ Wallace. Second ugliest to play SANFL. John Vincent – aka “Thin Vin” of 5AD then 5KA then SAFM? I loved the “Thin Vin twin spin” and how he always introduced the Beatles as the “Liverpool String and Vocal Quartet”. Memories of standing outside Maugham Church/5KA on Franklin Street late at night (after many beers and a pie floater) to talk to the late night DJ (Barry Bissel? Shades of Harry Chapin) on the intercom. I think he played Jim Croce for me. I was always a maudlin drunk, so “Operator” worked for me. Ross Dillon, John Cassin , two memories of the VFL. The former came down to the Dees with big hopes as a forward, was a good player but with Melbourne never a finals prospect, going to the City Of Churches allowed him to paly finals. The latter started at Windy Hill, then finished up as a Roo Boy with a sojourn in Adelaide in between. John Cassin was part of the big Richmond V Essendon 1/2 time punch on @ Windy Hill in 1974. It doesn’t seem he was around for the Essendon V Carlton biffo @ Windy hill the following year. Off the top of my head I reckon he played in the North Melbourne flag of 1977. Just remember, Cornes and Kym hodgeman at North and when I saw Copping playing at Essendon, He had forearms that looked as big as John Nicholls’ legs! Great account Mike. I felt I was there again. For me the Victorians have a lot to answer for. Maybe just maybe they will reverse some of their rule changes so the game can slow down and we can look forward to a duel between 2 players for most of a game again and dare I say it as a result reduce the number of injuries along the way so kids will be allowed to play the game again. Peter Carey’s mother was a teacher at Seacombe High School. We used to take the piss whenever the Tigers lost but she always took it with a smile. She was a good teacher and a nice lady. Peter was also a top bloke. He was proof that men with big bellys can play footy. There was a few of them running around at that time. Mike Sexton one of Australia’s best sportswriters who rarely gets the credit he deserves. Well done to James Coventry as well. Fond memories of ’75. My first game Port v Torrens at Adelaide and “Red Rooster” bought us all a rasberry at the Brecknock Hotel post game. So many characters from every team – Freddy Bills, Ray Hayes, Paul Marrett, 2-8 Wynne, Stazza, Daryl Rady, the list goes on. Unfortunately, the Bays didn’t play as well on the day and couldn’t convert. Norwood played the wind swept Football Park superbly in the GF. Great days Saturday afternoon 2.20pm. Mike Sexton. You’re a gem of a writer. When you pen local footy stories, you take me back … this time Mike, you’ve taken me right back … right back to 1975…. The 1975 footy season started April 5th, a day after my 13th birthday. The Bays were playing Norwood at Footy Park. I had entered High School and was a serious Tiger supporter. My hero? Fred Phillis. Loved him. Tried to emulate him playing school footy; even to the point of introducing a shuffle when lining up for goal. Well, us bay fans went home happy that day after thrashing Norwood by 76 points. School was great fun on the Monday! We were to beat Norwood only once more in 1975. The season was like our banner “Tremendous, Tenacious, Talented, Tearaway Tigers”… including the mentioned staggering 49 goals against Centrals … and my hero bagging 18. I ran on to the oval to congratulate Fred’s 100th goal and got to tap his shoulder. Mate, was that the greatest thing ever! The Bays were on fire! This was ours to win! I was shattered. I cried. Remember, to me, at that age, this was EVERYTHING. Walking back across the muddy car park, with my friend grinning away, I walked straight in front of a bus, didn’t care. Mark fortunately pulled me back – probably ’cause he needed me there so he could spend the entire night telling me why the Legs are better than the tigers. When I think about it, silly stuff, yeah, maybe, but this is how I remember it: my world had been crushed. Thanks Mike for bringing the beauty of the 70’s into my head today … inspired me to try and recapture some footy memories … I enjoyed the article as much as a meat pie and Wagon Wheel at the footy … it was … UNREAL!! Before I go however, I’d like to finish on a win … yes I was very lucky to be at the Adelaide Oval for the 1973 Grand Final, to witness a magic game by a club who had been waiting since 1934. Remarkably, 49 years earlier, at the 1934 Grand Final, my Great Uncle Arthur, Arthur Link, a fleet-footed rover, played a notably good game in defeating Port Adelaide by 9 points. What a game that would have been to watch … Here’s to you Arthur! Cheers!